Utterly gripping and full of twists, this is a compulsive thriller from master Nick Louth for fans of Robert Bryndza, Patricia Gibney and Carole Wyer. Who put the marsh in the Body in the Marsh? Every thriller needs a setting which sticks in the mind, whether it’s a snowscape for Scandinavian noir, or an idyllic English village for some Midsomer Murders. 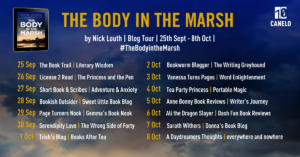 The Body in the Marsh is partly set in the shingle landscape of Dungeness in Kent, and the huge area of wetlands behind (I’m not giving too much away here, don’t worry.) It’s a unique part of the world, a national nature reserve with its own collections of plants and bird life, and has an atmosphere all of its own, especially out of the tourist season. But it’s as a human settlement that Dungeness looks so odd. We’re always used to seeing land parcelled off and marked for ownership, by walls, fences, hedges and other boundaries. But there are almost none here, partly because the nature of the shingle makes it very hard to construct fences. The nearest to an ordered layout is the track of the Romney Hythe & Dymchurch Model Railway which passes through the settlement and executes a loop under the shadow of the power station. The wooden houses, rarely more than a single story, just seem to perch on the shingle as if they’ve drifted in on the last tide. The whole of the settlement is owned by EDF, the French electricity company which runs Dungeness B nuclear power station. Setting part of the thriller here meant doing a fair amount of research. I based the Knights’ holiday home on a particular former fisherman’s cottage that I saw there, though its interior layout is my own design. I even had to look up some of the bus timetables for the area. It’s a part of the creative process which I thoroughly enjoy. Thank you, Nick. It certainly sounds like a fascinating setting. Please do follow the rest of the tour. 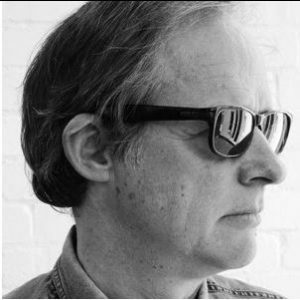 The terrorism thriller Heartbreaker was published in June 2014 and received critical acclaim from Amazon readers, with a 4.6 out of 5 stars on over 100 reviews. Mirror Mirror, subtitled ‘When evil and beauty collide’ was published in June 2016. 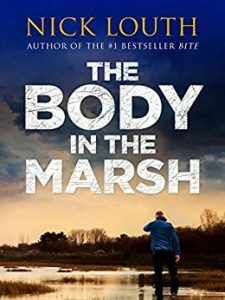 The Body in the Marsh, a crime thriller, is being published by Canelo in September 2017.